We’re huge fans of our plant-based protein options here at Cornucopia, so we just had to share a new product with you that just hit our shelves! 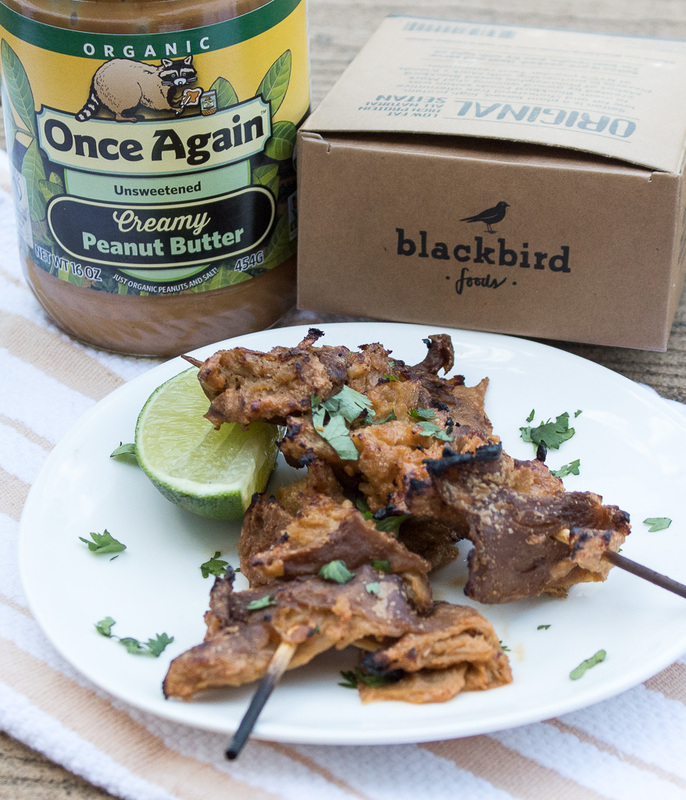 Blackbird Seitan is organic, non-GMO, high in protein and the perfect meat-substitute. 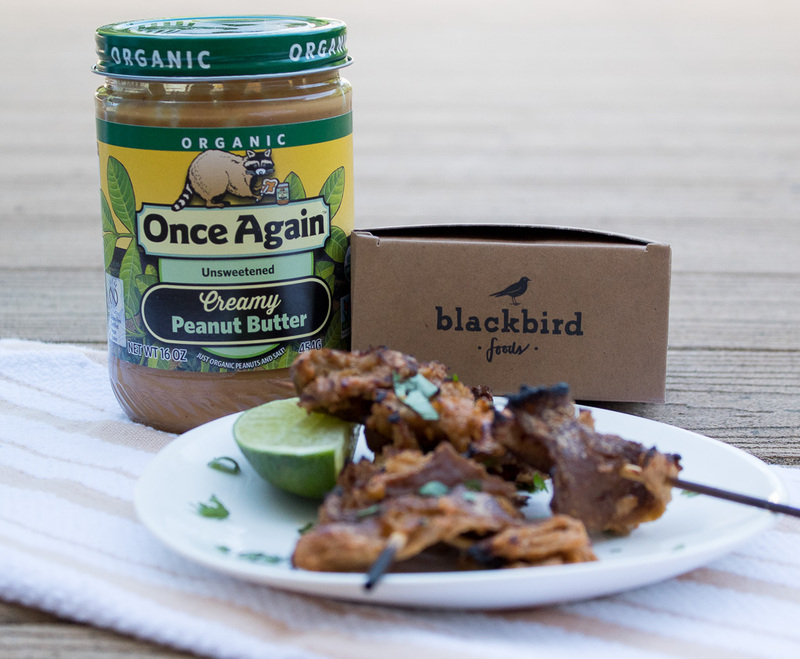 While their products do come in yummy pre-seasonsed flavors – Texas BBQ, Chili Lime and Rosemary Garlic – we opted to use the original flavor and pair it with a homemade spicy peanut sauce. Using Once Again peanut butter as the base (on sale all month! ), this sauce is the ideal balance of salty, sweet and spicy. It’s a very versatile sauce, so use the extra on other protein options, over noodles or even as a salad dressing! Seitan is an already cooked product, so we’re really just heating it up here. 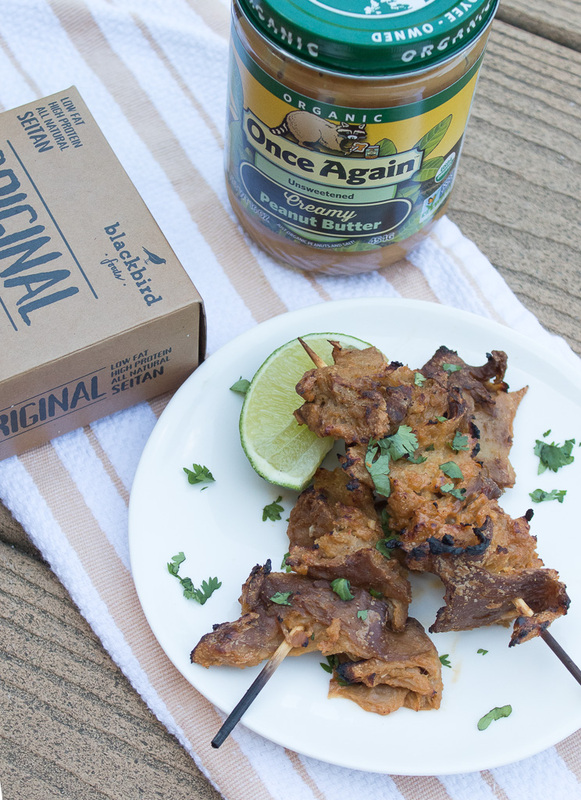 We opted to grill our Seitan in lue of summer, but this will work just as well in a frying pan or baked in the oven. These can stand alone as an appetizer or make a meal for two over rice and veggies. However you serve them up, be sure to let us know if you tried the recipe out by tagging us on social media! 1 1/2 tbsp tamari, liquid aminos etc. Start by making your peanut sauce, this can be done by hand or by combining all the ingredients in a food processor or blender. Once well combined taste and adjust the flavors to you liking – add more lime juice for zing or some more chili/sriracha if you like it spicier. Once the sauce is done, empty the seitan into a large bowl and pour your desired amount of sauce over it. Toss to evenly cover. 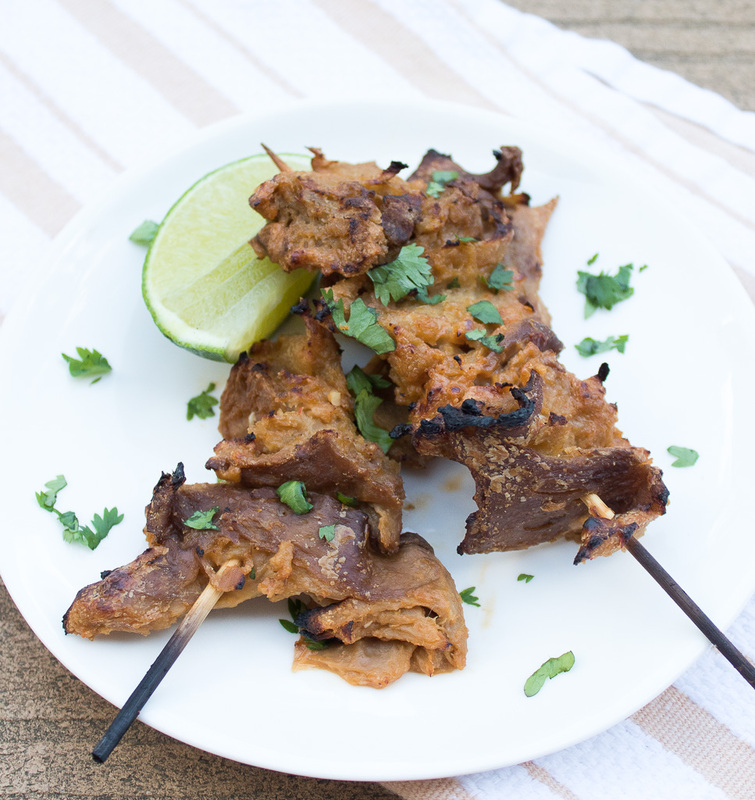 If grilling, arrange the seitan on skewers, pressing small pieces together until you fill up the stick. We wound up with 4 skewers-worth. Heat you grill to medium heat, spray with non-stick spray if desired and place your seitan directly over the fire. Cook on each side for 3-5 minutes, until the seitan turns a deeper brown. 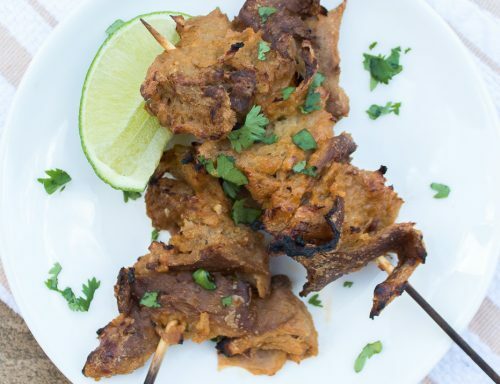 Once charred to your liking, remove from the grill then squeeze fresh lime juice and sprinkle with chopped cilantro. Enjoy!